Valeant Pharmaceuticals is a company that has dealt with quite a few hurdles as of late. Unfortunately, the company has seen its stock fall dramatically over the past several months, and analysts continue to expect further downward movement. However, with everything we’ve seen from VRX since the Philidor scandal, is now really the time to be selling or would it make more sense to buy? Today, we’ll talk about the issues we’ve seen from the company, what we’ve seen since, and what we can expect to see from the stock moving forward. As mentioned above, Valeant Pharmaceuticals has dealt with quite a few issues as of late. In late 2015, the company was the center of a report from Citron, an analyst firm that claimed that the company was the Enron of the pharmaceutical industry. Soon independent investigations looking into the company showed some unsavory activity, eventually leading to massive declines in the value of the stock. As the fire started to blaze, investors started to push for a cancellation of the agreement between Philidor and VRX. Of course, when investors want something, companies must listen, as such, VRX canceled its agreement with Philidor. This led to a new problem. Unfortunately, Philidor was the biggest client that Valeant had on the books. So, when VRX canceled its agreement with the pharmacy, it also threw a big chunk of its sales down the toilet. Even to this day, the declines in sales are hurting the company. Since the Philidor scandal, we’ve seen quite a bit out of Valeant Pharmaceuticals. The company has been doing everything it can to get things back in order, lifting sales and appeasing investors. So, since the scandal, VRX has undergone major management changes, adding members to the board and announcing a CEO change to come. On top of that, the company has been working full steam to sell its products. That has worked out as well. In fact, VRX recently signed an agreement with Walgreens that would help it to recover on the sales side of things. While Walgreens won’t sell enough product to make up for losses associated with Philidor, it is putting a large dent in the declined sales. While VRX declined in a big way following the issues with Philidor, we’re starting to see a change in momentum surrounding the stock. Lately, watching Valeant has been a lot like watching a roller coaster. There have been plenty of downs, but there also have been plenty of ups as well. In fact, today, we’re seeing strong gains in the value of the stock as investors start to change their opinions of the company. While there are still several analysts saying that VRX is a bad move at the moment, I don’t think that is the case. The reality is that we’ve seen a tremendous price drop on the company, leading to a valuation that’s seeing strong support in the market. While I do agree that VRX was likely in the wrong, I also have to say that the company is making big strides toward improvement. As a result, I’m expecting to see strong gains in the long run from the stock. Where do you think VRX is headed moving forward and why? Let us know your opinion in the comments below! 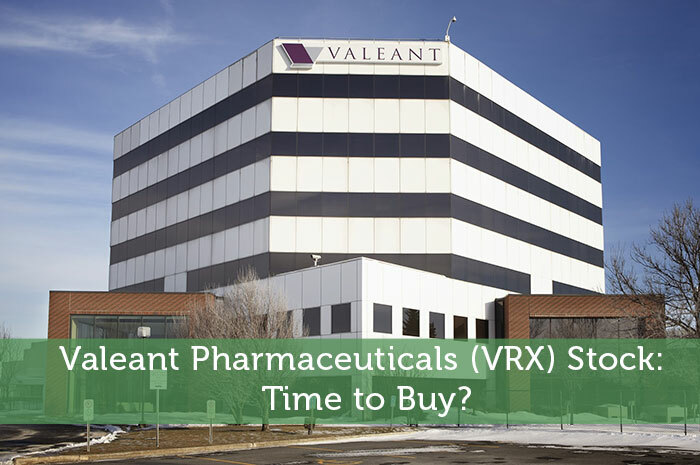 Valeant Pharmaceuticals (VRX) Stock: Time to Buy? Very good article. I own 4000 shares of Valeant Pharmaceuticals at 34.10 and plan to buy another 500 on Monday. It’s funny how people pile into stocks like herd animals and run at the first sign of trouble. I completely understand that bad things happen and in VRX’s case most are self inflicted. These things caused a very oversold condition that caused a panick and the media decided to catapult 100 negative articles which began feeding short sellers. Down Down Down goes Valeant. Andrew Left of Citron gets the motor running and calls a 50$ price target. He is the biggest short seller, had vested interest in VRX falling and made a lot of money with his call. He was partially right and still sent the stock down to 25.75. Even with the biggest bear on it you have upside of close to 100% upside. I’m not sure that this this isn’t any different that a landslide of negative news that crushed the market share. I’m liking the fact that Mr Ackman has a 60$ put position that is 200 million in the red that expires early 2017 And let’s not forget his gargantuan loss on the common shares he owns. When someone makes a couple mistakes that are so costly they hurt you in a bad way you think carefully the third time. NO ONE WANTS TO MAKE THE SAME MISTAKES WHEN THEY COULD RUIN YOU FINANCIALLY. I believe that he is AWARE and I believe that there are several options to successfully navigate Valeant back to glory. The only problem is near term issues with political issues, investigations and finding a CEO. Based on the 2016 guidance that was put out and the fact that the Walhgreens Boots has not matured an 89% drop is not warranted. I’m quite happy buying an equity that still has cash, fundamentals and assets. It reminds me of any bank stock that got beat down to ridiculous levels. Biotech is on fire right now and I don’t say this because the companies in the sector are at 52 week highs but rather mostly at their 52 week lows. See through the smoke read the SEC Filings rather than articles that simply regurgitate information over and over again. I’ve seen the same information written over and over by multiple writers and I’ve seen the facts pulled from the company filings twisted and it’s often to assist short sellers and option traders. Remember to see through the smoke but I promise you when it passes you’ll be very sorry.